Several members of the North Central Arkansas Artist League stand in front of Bayside Studio in Old Towne Fairfield Bay: (from left) Jan Cobb, Yun Kim, Jeanne Homuth, Ellen Kelly, Carolyn Goettsch, Ann Snyder, Joyce Hubbard, and Joan Bland. 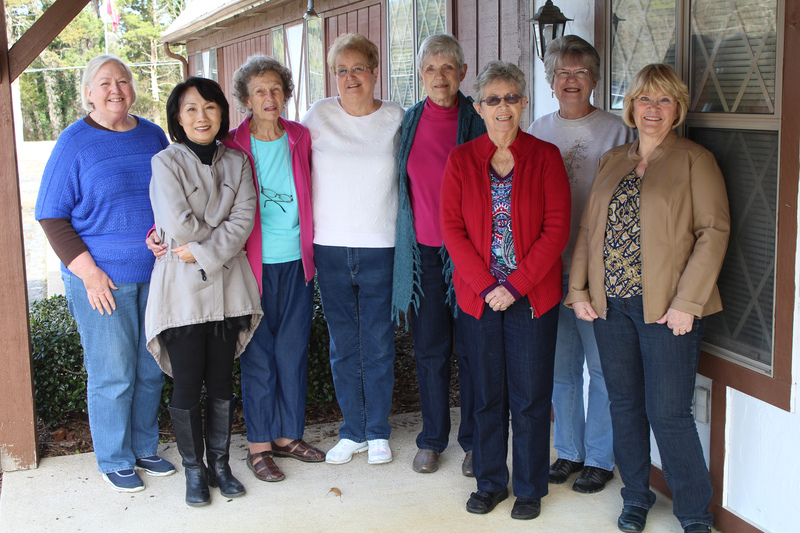 Artists find the Greers Ferry Lake area to be a paradise with all its natural beauty. More than 40 artists have joined the North Central Arkansas Artist League to socialize and critique each other’s art. Some of the members paint together each Monday morning at Bayside Art Gallery and Studio on the corner of Greenwood Rd. and Highway 330 in Old Towne Fairfield Bay. Hada, Charles Harrington, Bill Garrison, Jason Sacran, and more. As a result, the public can enjoy the League’s original art in many different public locations, including the Fairfield Bay Library, offices of the City and Community Club, Indian Rock Village, Greers Ferry Library, Ozark Health Medical Center in Clinton, and the NCA Gallery at Fairfield Bay Conference Center. The League’s next event is a one-day workshop on March 9, with Ann Snyder of Mountain View demonstrating and teaching an acrylic “drip-tree” whimsical technique to NCAAL members. Call Ann at 870-269-9743 or President Joyce Hartmann at 745-6615, or follow the League’s Facebook page for more information.